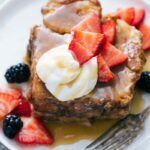 Once you try this French toast recipe you’ll never want to try a different one! 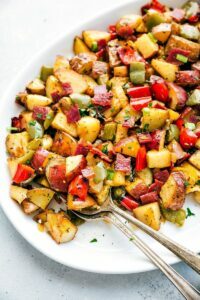 The recipe is slightly adapted from a famous Utah restaurant called Kneaders. They’re probably most famously known for their French toast and if you’ve tried it you know why. It’s sweet and cinnamon-y, has a creamy interior and crisp edges, and has the perfect toppings — freshly whipped cream, strawberries, and a caramel syrup. 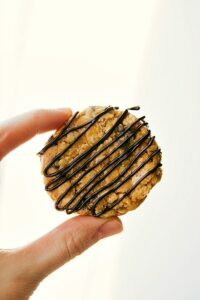 They shared their recipe online (it’s since been removed)several years back and I’ve made it ever since barely tweaking it to give you this very recipe. 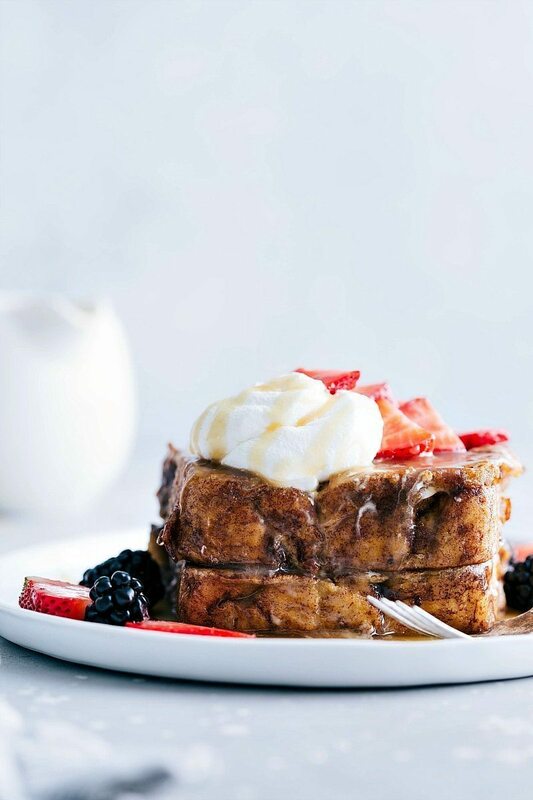 To get an authentic copycat of Kneader’s French Toast, you’ll want to use the bread they use in theirs: Chunky Cinnamon Bread. Slice the cinnamon bread into 8 even sized slices. Preheat a large griddle to 325 degrees F or a large skillet over the stovetop to medium heat. For the syrup: combine all the ingredients in a saucepan over medium heat. Stir and heat until the sugar is completely dissolved and then remove from heat. To make whipped cream: Pour heavy whipping cream and powdered sugar into a cold bowl attached to a stand mixer and whisk on high speed until medium to stiff peaks form, (about 1 minute). Be careful to not over mix. 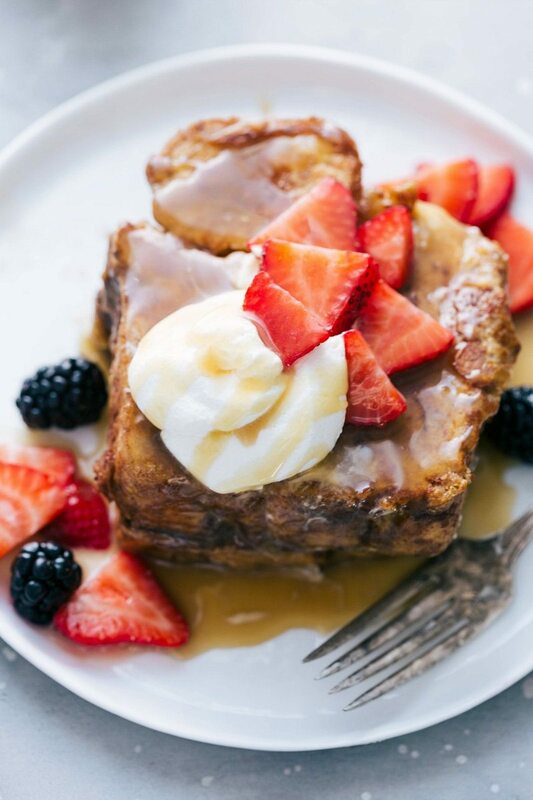 Serve french toast with the warm caramel syrup, freshly whipped cream, and fresh berries. Wow!! Not only does this look delicious… it looks so beautiful!! I love recipes that just look so gorgeous! I mean we eat with our eyes first, right? YUM! Thanks for sharing!! I hope you have a lovely Christmas! Oh yay! Thanks so much Christine 🙂 I saw the post-thanks! This looks great! I needed some new breakfast ideas. This is such a DELICIOUS idea for a special morning….LOVE IT, Chelsea! Thanks so much for sharing at Saturday Night Fever each week!! So, when I originally tasted this at kneaders, I was fascinated that it made me feel refreshed, almost like I was tasting the essence of a flower. And DING the idea popped up in my mind. (My parents had taken me out to eat.) I told them that’d it’d be even better with Lavender or Rose extract in it, just a little, something subtle. So that’s exactly what I did. And it is immaculate! With every bite it feels like you are going through a rose meadow! I suggest trying this too! It takes a few tries to get the perfect amount, and everyone is different. 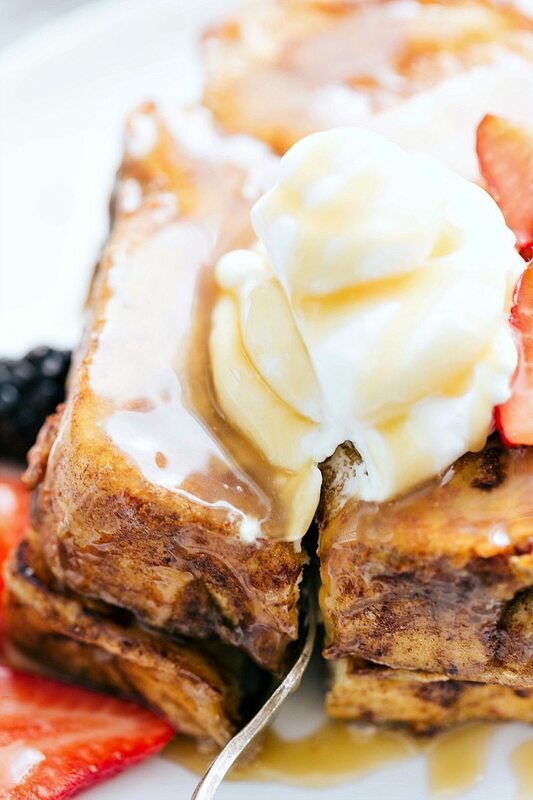 We make this French toast almost every Saturday morning. It’s my kids all time favorite breakfast and honestly mine and my husbands as well. 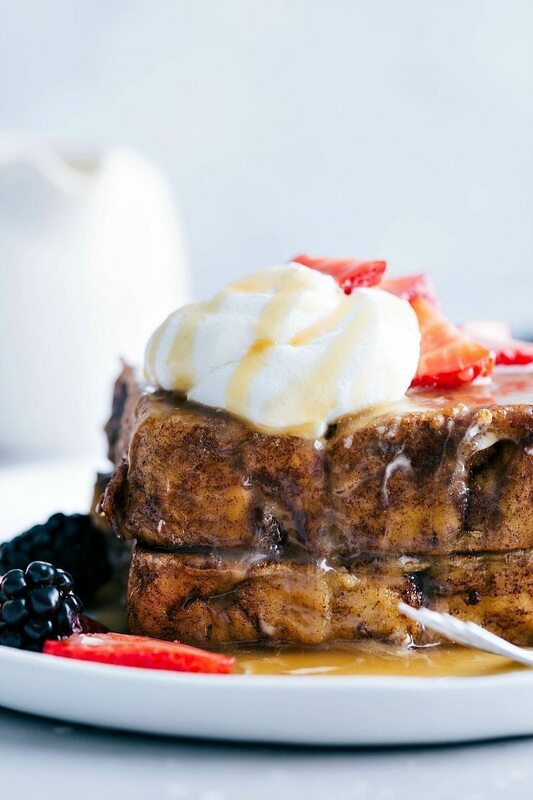 I seriously can’t say enough good about how delicious this French toast is. Everyone needs to try this!